Does a Government Shutdown Affect Your Credit Score? This insight comes from David Chami, a seasoned trial lawyer, and the State Co-Chair for the National Association of Consumer Advocates in Arizona. His law firm, Price Law Group, is a national consumer advocacy law firm with several offices across the country. 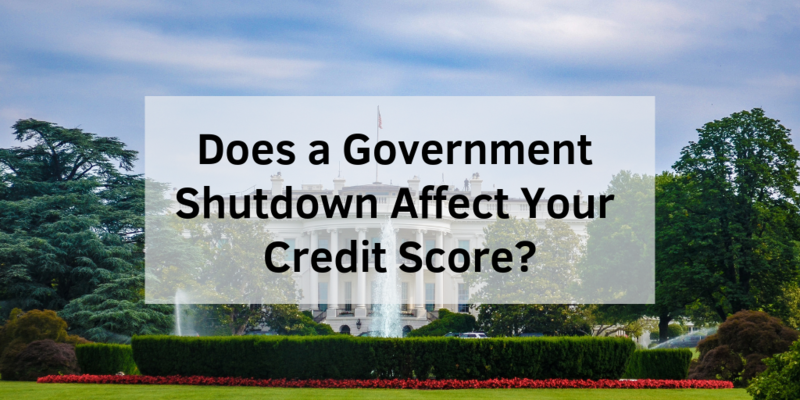 A few weeks back I was asked how the 2018-2019 government shut down could impact consumers’ credit scores. If federal employees were forced to work for no pay, or ineligible for unemployment (since they were technically still employed) it would only be a matter of time before some of those employees would fall behind on the bills. With less money on hand, many would have to choose between paying their credit card bills, mortgage payments, keeping the heat on this winter or buying groceries to feed their families. I could imagine that credit cards would probably fall last in the line of priorities for most of those “employed” but not paid civil servants. What happens when the bill comes and there is no money to pay it? I suspect many of the civil servants had no choice but to fall behind on those payments and simply take the hit on their credit. The effects of bad credit can negatively impact quality of life. As a consumer protection attorney, I don’t believe that reporting a federal employee as being delinquent on their bills is accurate under the Fair Credit Reporting Act, when the reason for the late payments is the result of an act completely out of their control. These civil servants didn’t have the ability to look for another job or apply for unemployment. Many were forced to go to work for no pay. In many jurisdictions across this country, courts have found that something on your credit report may be “technically” accurate but still be “materially misleading”. That’s exactly what I believe is true for those federal workers who had actually missed a payment on their bills due to the government shutdown. And with another possible shutdown looming we are not yet out of the woods. How can you fix credit reporting errors? The Price Law Group specializes in helping consumers deal with credit reporting errors. We offer guidance to consumers as to the accuracy of the information reporting and assist consumers by helping them to understand the dispute process. If the credit reporting agencies refuse to correct inaccurate information which was properly disputed, we will oftentimes file a lawsuit to make them do what’s right under the law. Fortunately for our clients, we are able to recover our fees from the companies reporting the inaccurate information as well as the credit reporting agencies who refused to correct the error. We don’t ask our clients to pay anything out of pocket when we believe that the consumer has been victimized. There are attorneys all over this country that belong to the National Association of Consumer Advocates helping consumers get justice and our lawyers are proud to be part of that team.